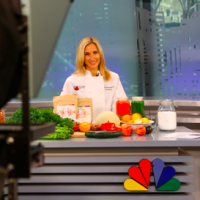 Getting the glow is easy if you remember these simple skin basics NBC invited me to share. 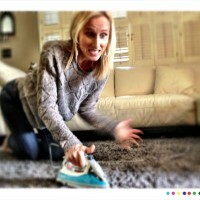 Are you vacuuming with an iron? Men and women are very different tools that both work amazingly well for their intended purposes. Expecting men to behave like me was like expecting and iron to pull all the dirt off the carpet. 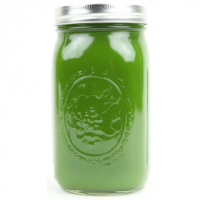 Here is the recipe for the green drink I call “The Bing”, named after our dear friend Bing who had nearly sworn off vegetables except potatoes. I served it to Taylor Baldwin on Prime Time and she loved it. Try it for yourself. 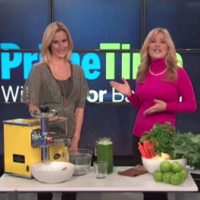 The gorgeous Taylor Baldwin from Prime Time gets surprised that a green juice that can help you with your New Year’s resolution for weight loss and improved health can taste so delicious.